Series passes available at Vogue Theater box office. Check the Vogue Theater website for information on buying individual tickets and series passes. As anyone who saw last year’s twisty crime dramas The Square and Animal Kingdom will attest, the Aussies have arrived on our shores. The annual Mostly British Film Festival, ever attuned to the shifting currents, devotes a sizable chunk of this year’s program to an eclectic survey of new Australian cinema that takes us far beyond genre thrills. Sure, we like guns and roses (almost) as much as you, but lead is not the only mineral found Down Under. The Mostly British Film Festival opens with a U.K. crowd-pleaser, West is West, that picks up the boisterous trail of the Khan family a few years after the events in the hit 1999 film, East is East (screening Wednesday, February 9). It’s now the mid-‘70s, with the youngest son (who fully identifies as British) at odds with his traditional Pakistani father. Humor and heart imbue this tale of assimilation, family secrets and cross-cultural connection. The festival continues Friday night with a double-barreled blast of taut British classics starring Michael Caine, preceded by a tense, dark Scottish comedy. Crying With Laughter centers on a hard-partying stand-up comic (Stephen McCole of The Acid House) who runs into an old schoolmate and mentions him in his act that night. Big mistake, for the “friend” springs a trap door that launches the comedian into a spiraling nightmare. Betrayal is clearly the theme du nuit, punched home by Mike Hodges’ unrelenting Get Carter (1971) and Sydney J. Furie’s unflinching The Ipcress File (1965). Writers Tony Broadbent and Eddie Muller, those savvy local observers of crime and human nature, provide the introductions. British film history is also on the menu Saturday morning with the back-to-back pairing of Cameraman: The Life and Work of Jack Cardiff and Black Narcissus, one of the 1940s Technicolor masterpieces the innovative cinematographer (who died in 2009) made with Michael Powell and Emeric Pressburger. The documentary (which premiered locally at Mill Valley last fall) pays homage to Cardiff as a raconteur with juicy anecdotes and a marvelous memory. Now it’s just a long hop, at last, to the commonwealth. Australia Spotlight begins with a reception and Beneath Hill 60 (Sat., Feb. 9), the gritty, fact-based World War I saga of a group of Australians tunneling underground on the Western Front. The rugged national character is on full view Sunday, beginning with the beribboned docs Solo (an up-close profile of a kayaker determined to cross the Tasman Sea to New Zealand) and Contact, in which a sexagenarian Aborigine recalls his remote desert tribe’s first encounter with white people 47 years ago. Joel Edgerton, whose smart, edgy presence charged both The Square and Animal Kingdom, shows another side in Claire McCarthy’s The Waiting City. He and Radha Mitchell play a husband and wife who find themselves languishing in Calcutta on account of the red tape entangling the child they came to adopt. Cut off from their usual routine and under the spell of the city, they glide in different directions. One of the most acclaimed Australian films of recent years, both at home and on the festival circuit, Warwick Thornton’s Samson & Delilah (Mon., Feb. 7), is both a love story and an understated portrait of Aborigine culture. Actress Rachel Ward also sets Beautiful Kate, her directorial debut featuring Rachel Griffiths, Bryan Brown and Ben Mendelsohn (also in Animal Kingdom) against a natural backdrop—an isolated family home, where the patriarch is dying. All this talent, and activity, prompts the fervent wish that the Australian film industry isn’t set back too terribly by the flooding currently plaguing the continent. Returning to the British Isles, Stephen Poliakoff assembled a stellar cast, including Julie Christie and Bill Nighy, for Glorious 39 (Tuesday, February 8), a look at a politician and his family on the verge of World War II that complements the history recounted in the reigning British film of the season, The King’s Speech. The redoubtable Colin Firth turns up immediately afterward as a seductively bad influence in Oliver Parker’s Dorian Gray. Ricky Gervais, this generation’s Oscar Wilde (just kidding), co-wrote, co-directed and appears in the 1973-set lark, Cemetery Junction (Thurs., Feb. 10). Stephen Rea’s many fans, and those in need of a spot of spare, brilliant acting, should check out the Irish drama Nothing Personal (Wednesday, February 9). The Mostly British Film Festival provides a welcome venue for English-language movies with name or new talent that have a tough time finding U.S. theatrical distribution in the current climate. It should not go unmentioned that another worthy aim of the festival is to spotlight and promote the Vogue Theater, which is one of the city’s remaining single-screen theaters and operates under the auspices of the nonprofit San Francisco Neighborhood Theater Foundation. In the decades since World War I ended, one facet of its history has remained more or less unknown: the work of tunneling companies from England, Canada, New Zealand and Australia that worked beneath the trenches planting mines. Their activities were top secret, which partially explains why few people know anything about them, there was also another reason for the reticence. “It was considered an ungentlemanly way to fight the war,” director Jeremy Sims explains by phone from his home in Sydney. “It was nice to work with a writer that’s interested in structure and kind of old-fashioned storytelling,” Sims says. “We worked on a war movie story like I used to watch on the weekends, ‘The Longest Day,’ ‘The Dam Busters,’ those sort of classic films, and I was always interested in making it look like one of those films and feel like one of those films. That more robust story impressed backers, and the movie’s budget increased incrementally until it reached about $9 million. By Hollywood standards, that amount of money will not even cover the salary of a single star, but Sims knows how to stretch a dollar, beginning with his decision to film in Woodward’s own backyard, Townsville. The townspeople were happy to help out as well. “The guy that owned the field we built the trenches in, dug out the trenches with his own backhoe,” says Sims, adding that the man and other Townsville residents also appear in the film. A pre-“Avatar” Sam Worthington was suggested for the role of Woodward, and Hugo Weaving was also considered, but Sims had directed Brendan Cowell on the stage and cast him for the strength and quiet charisma he could bring to the role. “Beneath Hill 60” was a critical and popular success in Australia, where it received four Inside Film Award nominations, including best director and best film, but what pleases Sims more than those accolades is the knowledge that it is already becoming part of Australian lore. He has already gotten requests to speak at schools on Anzac Day, a national day of remembrance in Australia and New Zealand of the countries’ war dead that began in 1916 a year after they suffered tremendous losses at Gallipoli. In the not too distant future Sims imagines the film will become required viewing for Australian students. With so much action happening underground by men who plant mines but don’t fire weapons, “Beneath Hill 60” is a different kind of war movie, suspenseful and thrilling in its own way, but with a twist. Thanks to Sims and his film “Beneath Hill 60,” one group of Australian tunnelers is anonymous no longer. The drama, which opens the Australian Spotlight section of the Mostly British Film Festival on Saturday, relates the story of Capt. Oliver Woodward and his men, miners in peacetime who put their talents to use tunneling under the titular hill in the fields of Flanders, laying mines that would create a blast that would be felt as far away as London and help turn the tide of the war. The tale might have been lost to the mists of history if it weren’t for Woodward writing a diary several years after the war’s end that described the operation. Meant as a personal document for his family, the document was donated to the library in Townsville, on the northeast coast of Australia in the state of Queensland, where Woodward was based, and from there fell into the hands of Ross Thomas, a World War I buff and ex-miner. “He has a passion for trying to keep the memories of people from up in Townsville and the mining community that fought in the war,” Sims says. The Mostly British Film Festival returns for the third year Feb. 3-10 with 26 classic and new movies – many of them award winners at other festivals – from the United Kingdom, Ireland, Australia and New Zealand. The festival opens at the Vogue Theatre in San Francisco with “West Is West,” the sequel to “East Is East,” catching up with the same lovably beleaguered Manchester family. Om Puri reprises his role as the family patriarch, a Pakistani immigrant faced with children who feel 100 percent British. Closing night features the Grand Jury Sundance Prize Winner, “Boy” a coming-of-age saga about an 11-year-old New Zealand boy put in charge of his siblings. 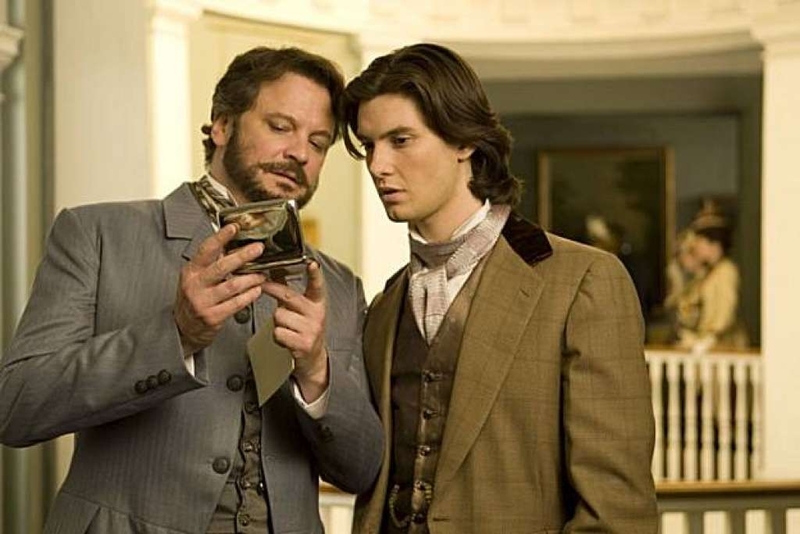 The series presents Colin Firth and Ben Barnes in a new version of “Dorian Gray,” and Julie Christie and Bill Nighy in the family drama “Glorious 39,” set on the eve of Britain’s entrance into World War II. A three-day spotlight on Australian films opens Feb. 5 with “Beneath Hill 60” – an epic true story about a secret platoon of Australian miners who fight to defend a labyrinthine tunnel during World War I. Also from Down Under, “The Waiting City,” a drama about an Australian couple in India to collect their adopted child, and “I Love You Too,” a romantic comedy about a single guy afraid to commit. The documentary lineup includes “Cameraman: The Life and Work of Jack Cardiff” about the Oscar-winning cinematographer, and “Topp Twins: Untouchable Girls,” the story of singing, yodeling, joke-telling lesbian twins from New Zealand, which became the most popular documentary ever released there. A British Noir segment features “Get Carter” and “The Ipcress File,” both starring Michael Caine early in his career. For ticket information go to www.mostlybritish.org or call (415) 346-2288. A selection of festival films will play at the Smith Rafael Film Center Feb. 6-10. For information go to www.cafilm.org or call (415) 454-1222.